The informal negotiations in New York from 7-9 September mark the beginning of the countdown to the adoption of the New Urban Agenda at Habitat III. 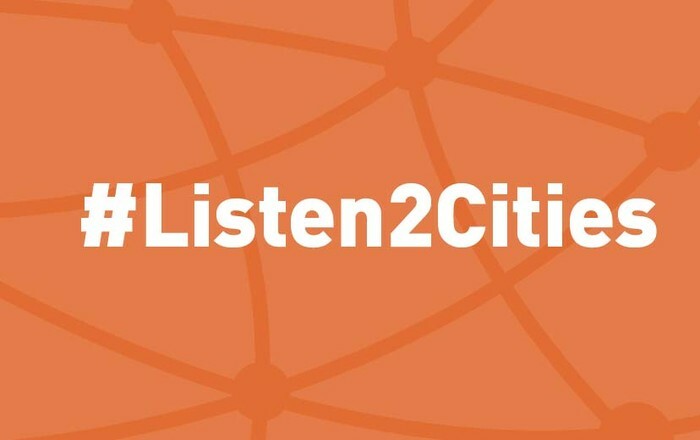 Hundreds of urban experts, members of civil society, and citizens have joined the #Listen2Cities campaign launched by global networks of local and regional governments in May. The #Listen2Cities campaign calls on national governments and the international community to listen to cities and territories in the Habitat III negotiations. While UN member states will adopt the New Urban Agenda, it will be local and regional governments who will implement it, and who have years of experience in solving real problems in cities. Local and regional governments have come together in our regional, global and thematic networks to share our experiences and draw up joint recommendations for the Habitat III process. Whatever the final draft of the New Urban Agenda, local and regional governments will be on the frontline of dealing with urban challenges. The success of Habitat III will be determined by its implementation. Putting the New Urban Agenda into practice will depend on the involvement of local governments at local, national and international level. Local governments are an organized constituency, ready to contribute to both the definition and the implementation of the Agenda, contributing our experience from the ground. If you agree that states should listen to cities at Habitat III, join this global social media campaign and share your ideas and resources using the #Listen2Cities and #Habitat3 hashtags.